Nintendo’s next game console is about offering new features, like surfing the Internet or watching a movie, so that more people want to buy the device. But Nintendo draws the line at using emerging platforms, like mobile or social, or new business models, like free-to-play games, to attract a larger user base. In an interview with Nintendo’s Global President Satoru Iwata at E3, he passionately explains why he will continue charging for games and is reluctant to get caught up in the social and mobile game frenzy that is fueling such companies as Zynga, or platform-makers like Facebook and Apple. Yesterday, I posted the first part of the interview that covers his thoughts on the Wii U. Today’s section focuses on his opinions on emerging games platforms and other trends. 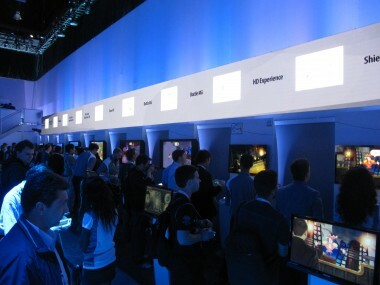 Over the years, there have been many references to the console wars between Nintendo, Sony and Microsoft. Are they still alive? Often times, we have heard such terms as console wars, but we are actually always pushing ourselves and we are not engaged in such limited competition. For example, have we really been battling against only Sony and Microsoft? 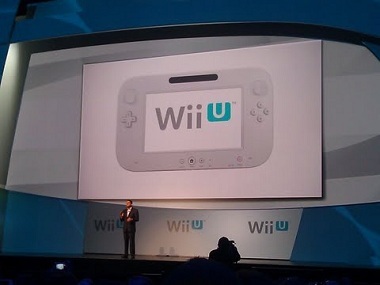 With the Wii, Nintendo has been trying to expand the game population. … In that sense, I have said in interviews in the past, that we have been fighting against the indifference from consumers. And also, as you know, videogames can be played many other ways today. They are available on iPhone, iPad and Android, so today it does not make any sense to discuss console wars between the three platform holders. In fact, our thinking has always been in trying to grab the limited amount of spare time people have and always try to offer some unprecedented attraction to the consumer. In February, you talked about how you disagreed with the emphasis of mobile and social games because they are free or 99 cents. But as mobile phones and Apple compete with Nintendo’s core business, which is casual gaming, would you consider a freemium model, where you’d monetize with virtual goods or advertising? Nintendo has been a very unique company because it’s not just hardware, but also one of the major software publishers. Because it is in a unique position, it’s given us a unique advantage. We have no intention to provide a property to any other platforms, or making them available in a mode that does not require consumers to pay at all. Nintendo is a company, which is trying to maintain the overall value of video games. If we were simply going to say OK, the only the way we could sell more products is by decreasing the price, then there wouldn’t be a bright future and the entire industry will fold. When we look at the entire system of freemium, it’s not always that everyone is happy with the offers. Actually, there’s only a limited number of people who are willing to pay and many others are not paying for game titles at all. If we are going to do something similar, we would come up with a completely unique environment. Please clarify. You would come up with something completely unique that is free? I’m not interested in offering software for free of charge. That’s because I myself am one of the game developers, who in the future wants to make efforts so the value of the software will be appreciated by the consumers. But a lot of companies are making a lot of money on advertising and virtual goods inside of the games through microtransactions. It seems like the game quality can still remain high if the revenue comes in some other way. It’s a little different. It’s not just the end result. We can’t simply compare the total revenue generated at the consequence of developing one thing. My point is about how we can keep the public’s perception of the software. If we are going to destroy the value of the game software — once we have done so, it’s a difficult job to recover from that situation. Yes, it is true. There are great examples of advertising and doing the microtranscactions, and several companies who have come up with that kind of system. But on the other hand, if you ask me, is this the system that can be sustatined for the long time? I don’t know the answer. And, my point is that I’m not willing to go that direction, as well. We have many challenges. Challenges to come up with new business models and challenges against emerging models, and above all, we have to do a better job to come up with unique and unprecedented ideas that have to be more attractive than other devices and companies. Please understand. For Nintendo, the most important thing is to create something unique and unprecedented. Many people often try to find and compare a company to us. But we can do better. We can do more. But that’s not something Nintendo is interested in. For example, when you asked me if I’m interested in this kind of system or that kind of system, I have to say, ‘No I’m not. No, I’m not interested.’ And, if we do something similar, we are going to come up with something completely different ourselves. To clarify, when you said “this kind of system,” did you mean mobile and social games? Yeah. To clarify, if you say mobile and social games, why don’t you do the same, I say because they are already doing it and we aren’t doing the same. If you say freemium is somewhere you can spur new revenue, once again, the answer is the same. Just because many other people are thinking that way, we aren’t thinking that way.